"We launched them, they instantly became a hit. You asked for more, here they are: the Super Slim fit is our trimmest and sleekest – fitted close to the body tailored at the waist and finishing with sharply cut sleeves and reduced cuff depth. With lowered back darts to ensure a close cut cross the back, these shirts are ideal for slender gents and to those after a daringly contemporary look." Really nice shirt and good material. Only downsides are the fit could be a bit slimmer. Don't think the fit is as good as TM Lewin's Super Fitted, especially around the waste. In addition, the single cuff fit is just a little baggy - an extra button to adjust for slimmer wrists would be good. Despite following the care instructions the shirt is drying with wrinkles and creased after about 10 or 12 wears. 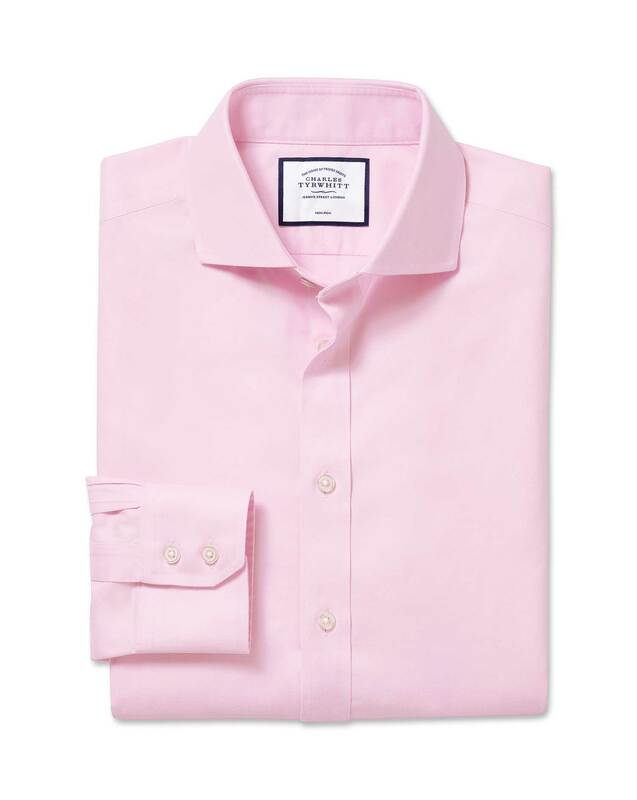 Response from Charles Tyrwhitt: A great tip to help restore the non-iron properties to our shirts if you are having a spot of trouble with them is actually to pop them in the tumble drier! A very quick spin on a low setting will help to reinvigorate the non-iron and have your shirts looking good as new. If you do require any further assistance with this after trying the above, please do reach out via email to info@ctshirts.com and we'll be more than happy to help. when I placed my order in November 18 I was told it was out of stock and would not be dispatched until February 19. Then was told stock arrived late December and dispatched. all good so far. But when the shirt arrived, the double cuff sleeves were cut to single cuff length, meaning the sleeves were about 2 inches too short when folded to put the cufflinks in. Am returning promptly. Response from Charles Tyrwhitt: I am sorry to hear of this error with your recent order, this is certainly not the norm. I can see from your account that our Customer Service Team has arranged your replacement, and that this new order was despatched on the 1/01. I do hope that you receive your new shirt shortly, and that it is exactly as expected.